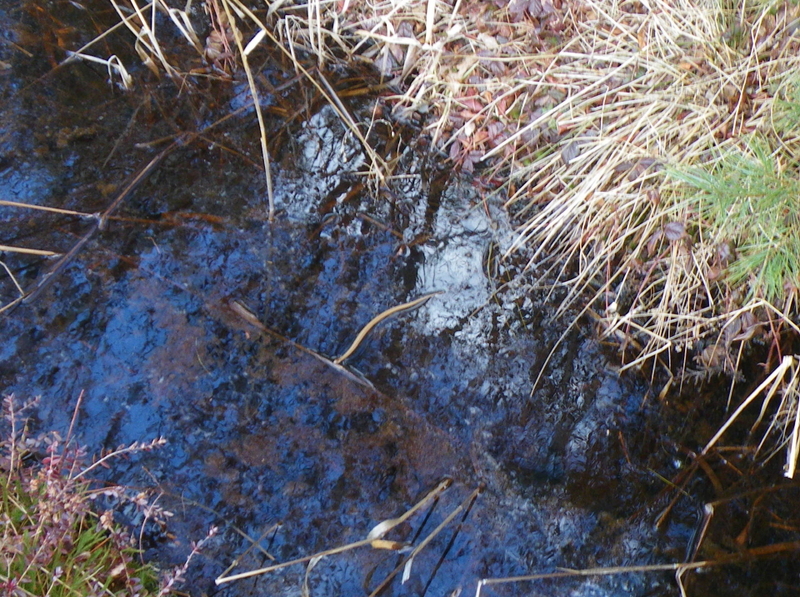 Temperatures today reached the high 40s, so the Turtle Journal team explored a nearby abandoned cranberry bog to see what spring life may be emerging. 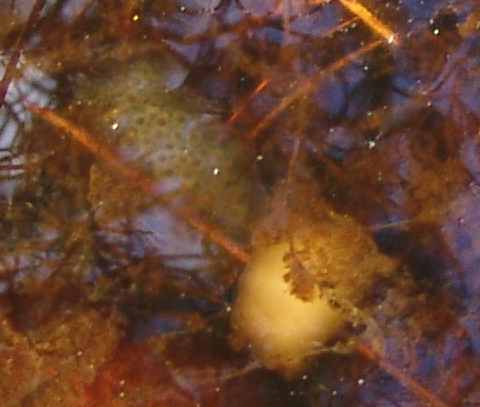 The entire wetlands echoed with a chorus of spring peepers, punctuated by the croaks of wood frogs. 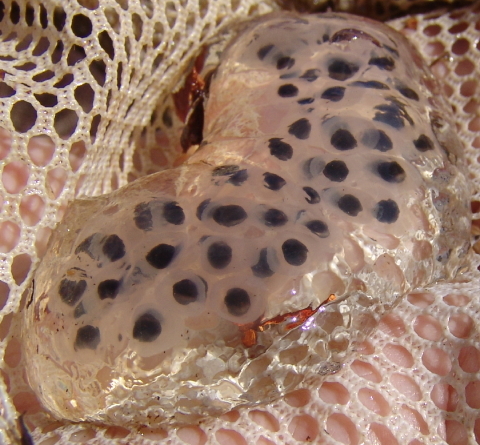 Shallow bog channels were filled with egg masses, both frogs and salamanders. 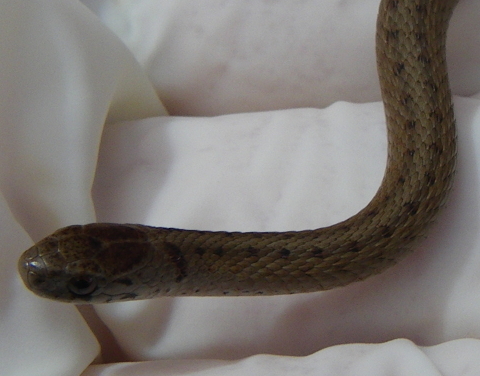 In the channel closest to the woods, Don Lewis spotted an unusual twig or grass reed lying crossways, which actually proved to be a small basking garter snake. 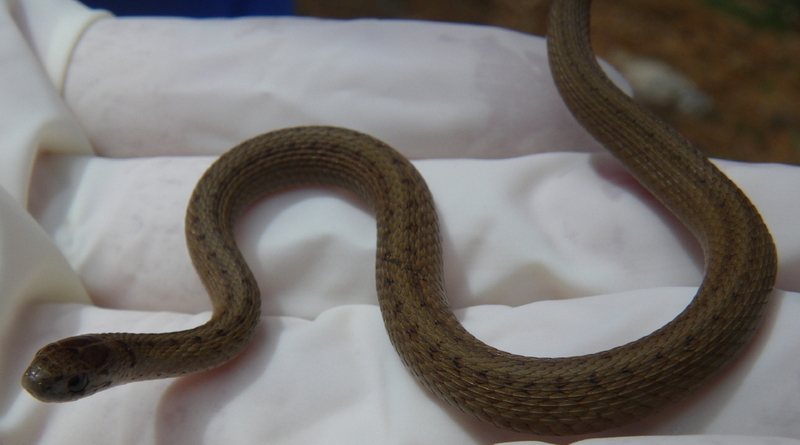 Turtle Journal documented this juvenile garter snake and immediately released it back into the safety of the bog. 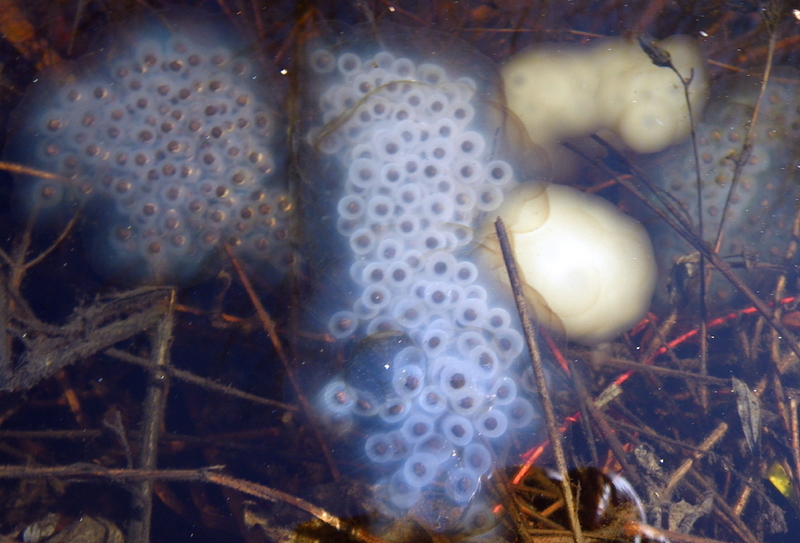 The team loves to find such exquisite signs of spring, especially after this neverending winter. 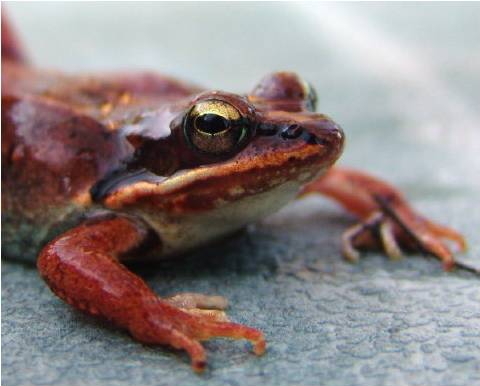 Wood frogs (Rana sylvatica) serve as troubadours of springtime in SouthCoast wetlands. Their distinctive quack-like croaks can be heard as March temperatures crack the mid-40s and even before cheery spring peepers serenade the marsh. In this video from mid-March 2012, behind the scary theme music you can hear the raucous chorus of amorous wood frogs heralding another mating season in Southeast Massachusetts. Despite this neverending winter in the Northeast, with wetland trails still covered in ice and snow, the Turtle Journal team visited several SouthCoast swamps and bogs on Sunday as temperatures “soared” (sic) into the low 40s. 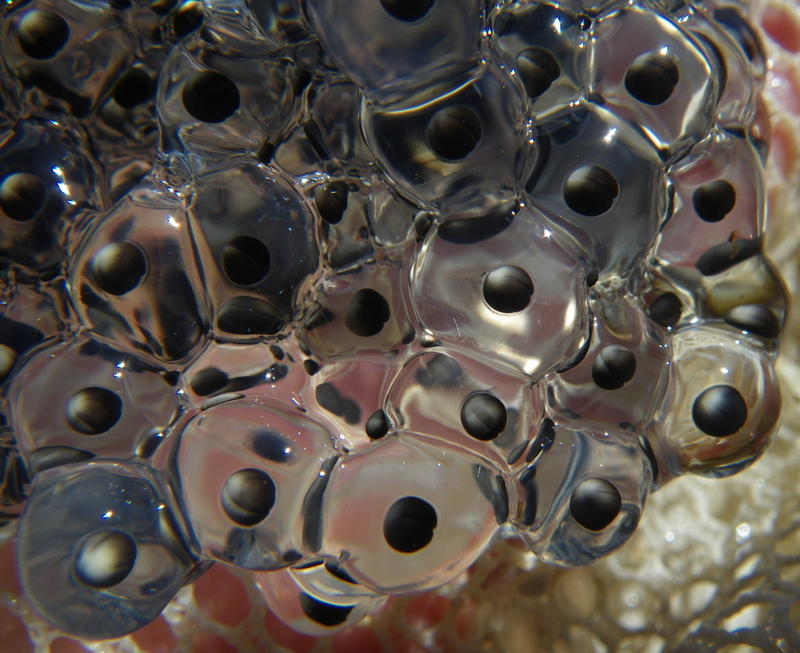 In an abandoned Marion cranberry bog, we found a large number of assorted frog and salamander eggs affixed to reeds under a thin layer of overnight ice in shallow channels closely abutting the surrounding woodlands. 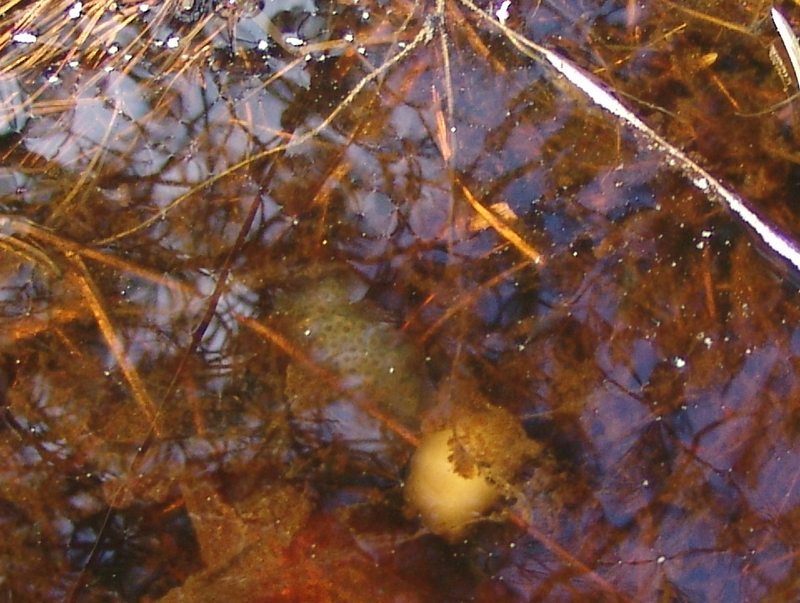 With bright late March sunshine, temperatures reached the mid 40s in Marion’s Washburn Park, where the warm shallow water of bog channels enticed hundreds of wood frogs to bask and breed. 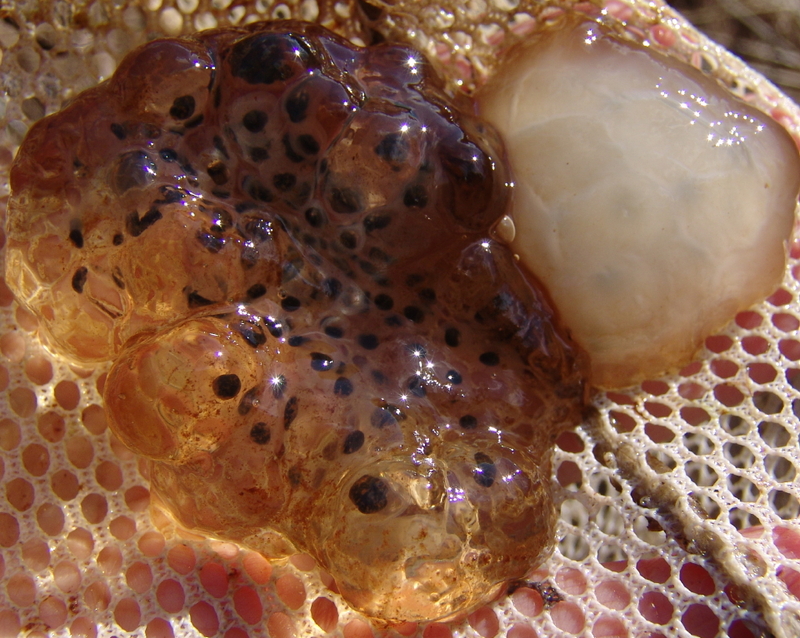 Egg masses were clustered in sunny areas throughout the swamp. 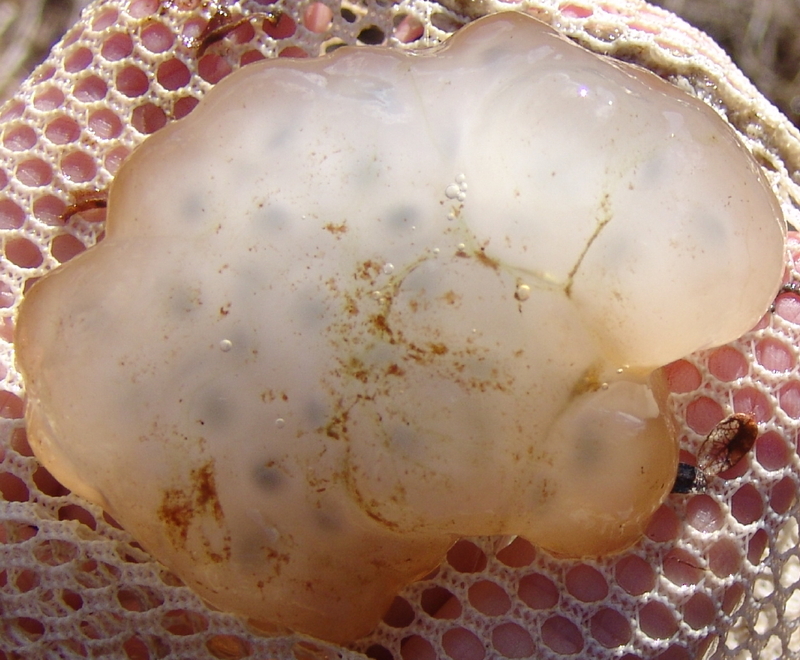 Examination of the egg masses indicated that they may have been freshly deposited as eggs seemed to be in the early stage of development. 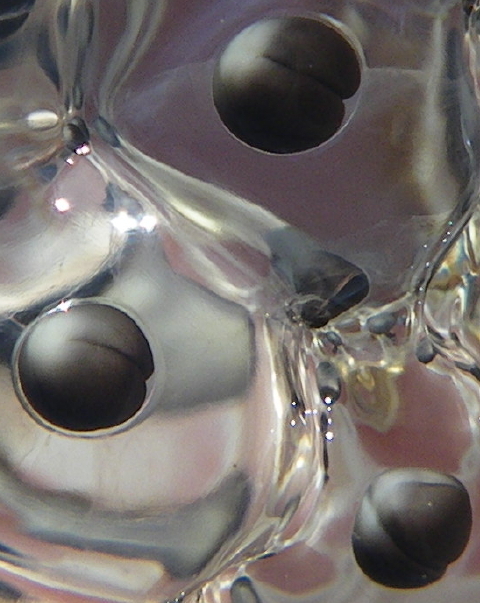 A closeup of individual zygotes appear to catch eggs in cleavage at the 2 and 4 cell stage. 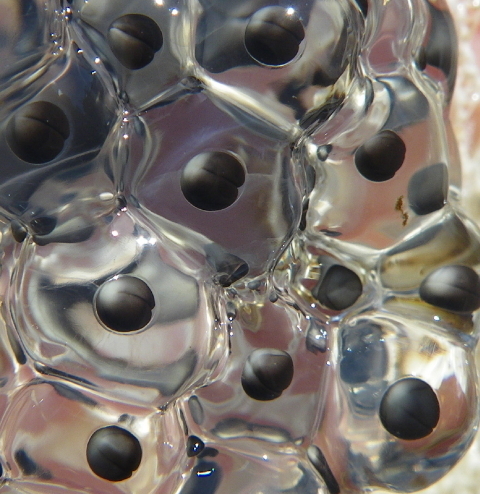 The closeup above captures individual zygotes in the process of division. 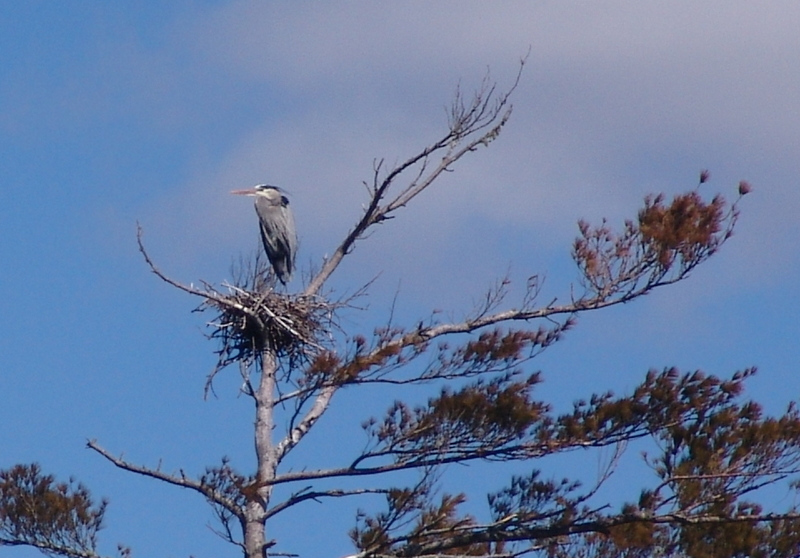 On Sunday morning, March 24th, the first Great Blue Heron (Ardea herodias) returned to the SouthCoast rookery in Marion, Massachusetts. 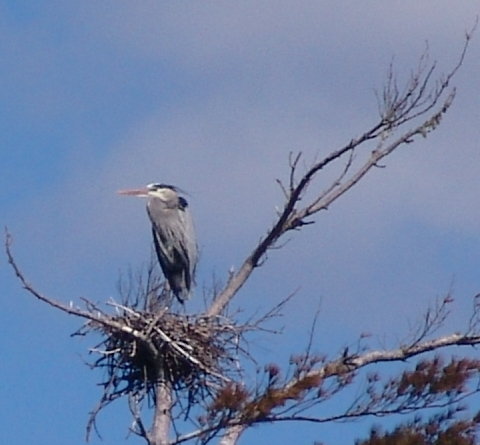 This lone Great Blue Heron stood tall in its nest and seemed focused on the horizon, as if waiting for its mate and others to arrive. There are four heron nests directly on the shoreline of this Marion pond and several others in trees tucked away in the surrounding wetlands. 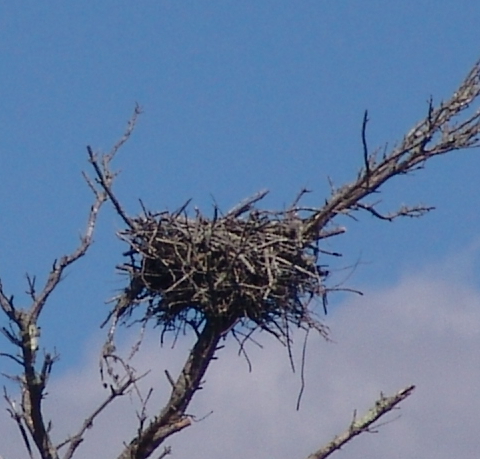 All of these other nests remained vacant this morning. 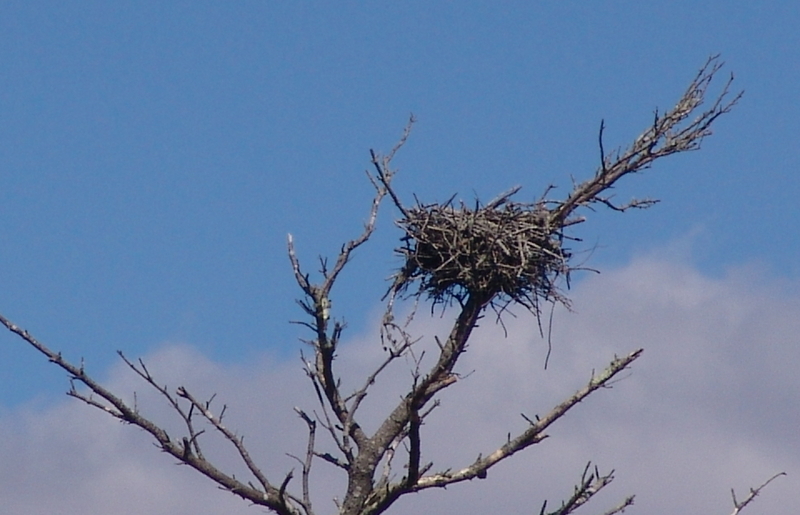 Last year we documented four pairs of Great Blue Herons on these pond-side trees rebuilding and buttressing their nests during the first week of April. 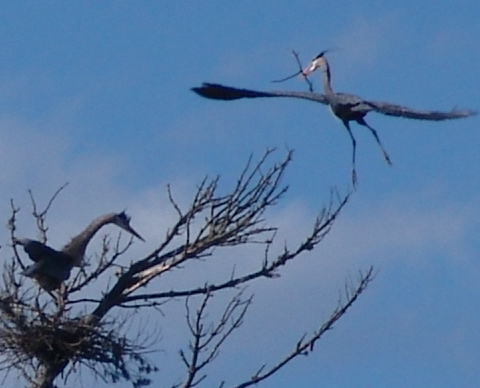 See Nest Building at the Great Blue Heron Rookery. 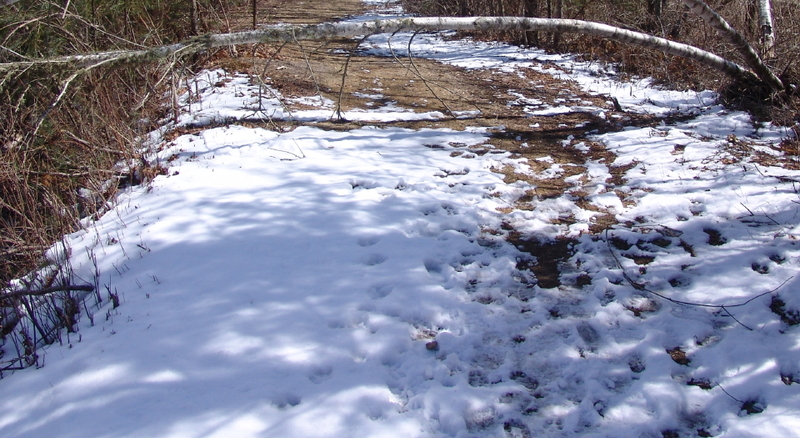 Torrential rains and rising temperatures last night gave way to sunshine and 50 degree temperatures this morning. 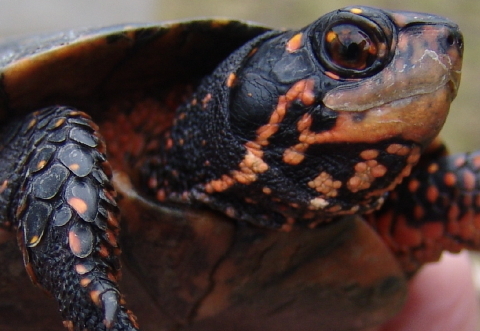 Those conditions spurred SouthCoast fresh water turtles to emerge from winter brumation where they have kept safe and comfortable through the last 5 1/2 months. 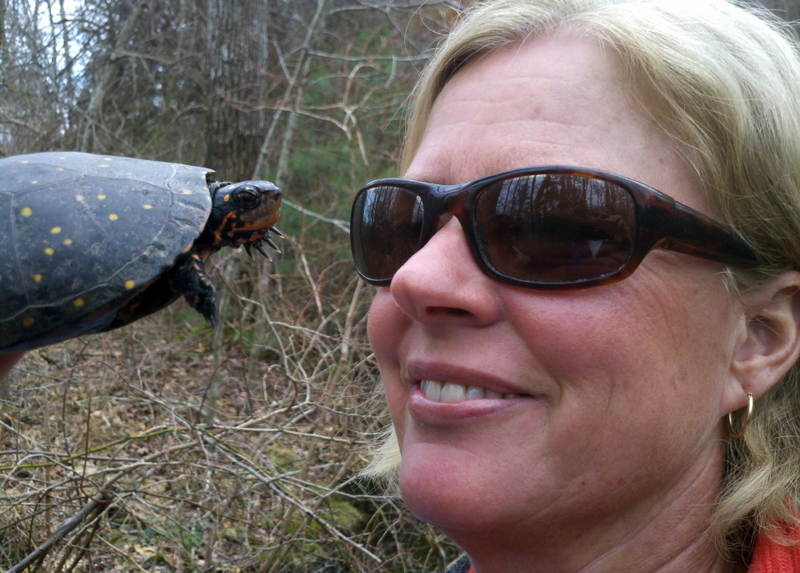 Sue Wieber Nourse found two basking spotted turtles at a East Marion pond and captured one of them, a mature female. 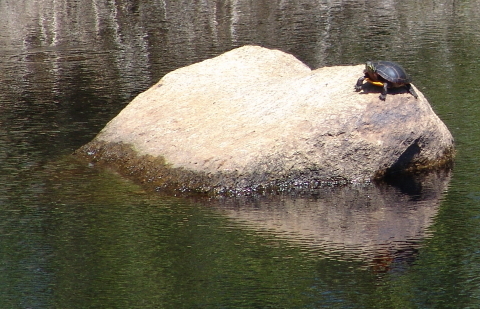 Also this morning, Don Lewis discovered a large painted turtle basking on a rock in the middle of the reservoir of an abandoned cranberry bog in Marion. This location will sport tens of basking turtles once spring sets in. Yet this morning, we found only this lone turtle that had emerged early from brumation. Nevertheless, with spotted and painted turtles on the move, the game’s afoot. 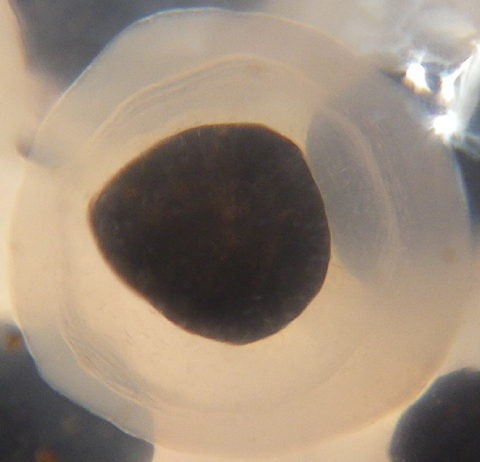 Let the turtling begin! You are currently browsing the Turtle Journal blog archives for March, 2013.